After quite some time, it’s finally time to update my installation guide. I’ve not only updated the steps but also tried to keep the design and structure up-to-date with the rest of the blog. This blog entry aims to be a simple installation Guide -and compilation of assets- to be able to play Settlers IV on modern computers. As such, it may be subject to changes over the years. My guide to change the language (optional, read below). Install the game as usual and launch it. If you get the 3D Initialisation Error, go to the following step. Otherwise, skip it. If you get the 3D Initialisation Error, download DXGL and run it. Click on”Add” and look for your installation folder. Go to the /Exe folder and select S4_Main.exe. Apply the changes and the game should be able to launch now. 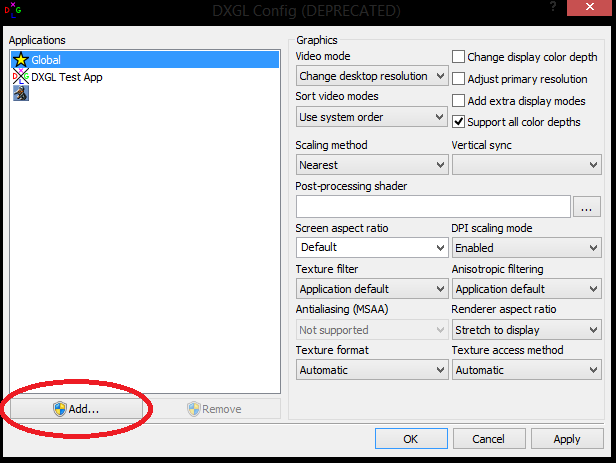 Please note that DXGL does not work properly on computers running more than one screen). Widescreen Tool. Launch it and follow the instructions provided to patch the game for widescreen compatibility. Next, download the Desired Music Fixes. Follow my Quick Guide in order to choose your fixes and apply them. If you want to play the game in German, simply download Oedi’s Patch and run it. Select your main installation folder and install it there. If you want to play on any other language, just follow the steps I go through on my own guide. Unfortunately, this will only change the text. And that’s a wrap! I hope that the game is running fine for you now, and as close to the original as it’s possible. Being able to help you, my dear Reader is what keeps this blog going in the first place! I’ll keep updating this guide whenever I find anything new and interesting. If there’s an error or I’ve missed something, let me know either leaving a comment or via my contact form. This entry was posted in Tweaking the game and tagged rewritten, solution. Bookmark the permalink.